My older brother and his girlfriend were in town today so it wasn’t a trip to SLO without hitting up the Goodwill Outlet. Yep my bro has the treasure hunting gene as well- tee hee. While they were digging through piles of books you could find me and Chanda at the clothes pile were we found some fun trendy tribal inspired gems. Have you seen all the crazy prints around town?? Tribal has definitely been holding it’s own these past few months from tribal printed kimono’s to nails and bathing suits- you can’t go wrong with this playful print. Check out my two steals from the Goodwill today that were fitting right into the trendy print! oh so fun!! happy day! 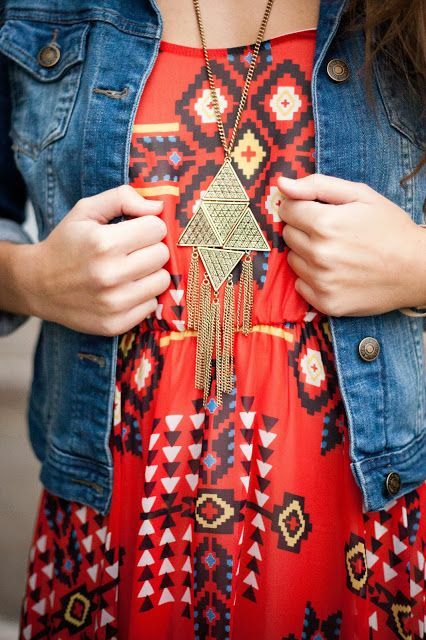 Hope you can have some fun rocking the playful tribal print this summer! !